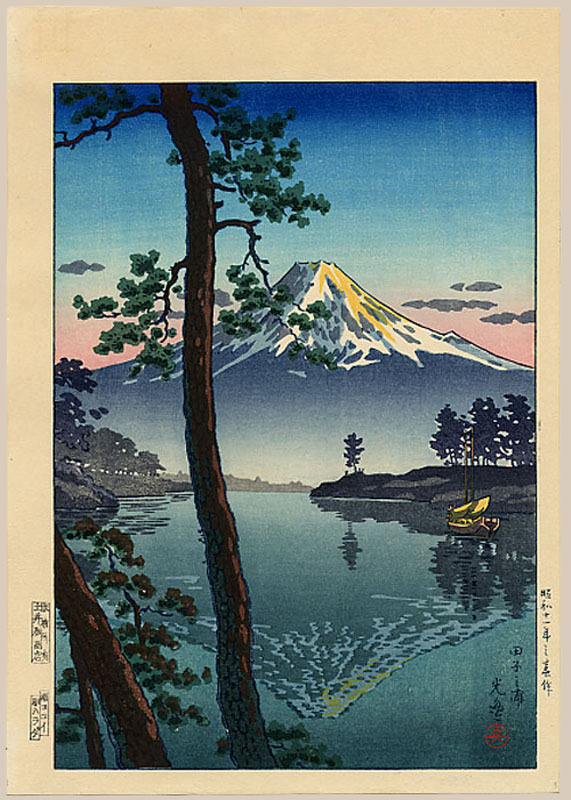 Koitsu, Tsuchiya (1870 - 1949), "Fuji from Tago Bay"
Notes: This print was contained in a large presentation folio designed specifically for this collector's edition. All the prints are stamped with the seals of Harada (carver) and Yokoi (printer) and are notable for their very fine impressions, color and state. All indications are that Doi specially produced these as a one-off presentation set and that they were printed, c.1948, making them lifetime editions.